The age-old battle over whether the thick coffee enjoyed by Greeks and Turks is Greek or Turkish has reached the United Nations Educational, Scientific and Cultural Organization (UNESCO) as noted by the Italian news agency ANSA med in an article headlined Ankara offers Turkish coffee to UNESCO. According to the article, the Ministry of Culture and Tourism in Turkey is readying an appeal for Turkish coffee to be included in the List of Immaterial Cultural Heritage. 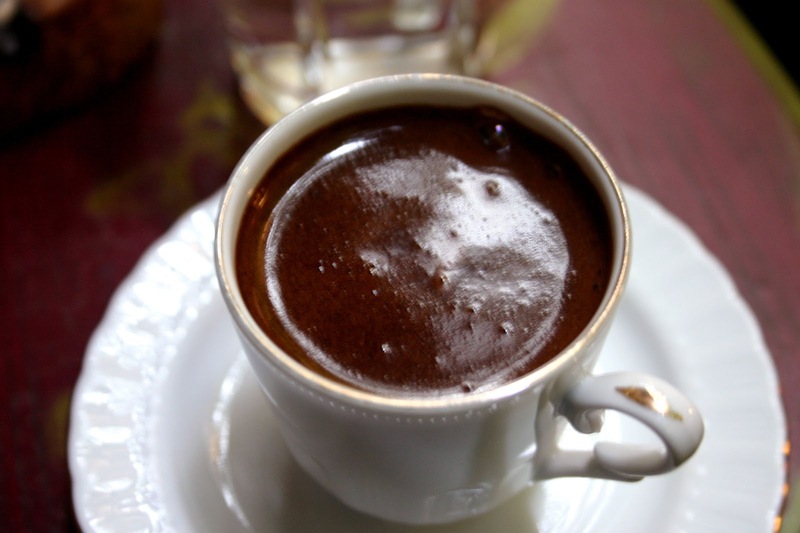 The conflict between Turkey and Greece about “Turkish coffee” is well-known, although the particular delicacy is known by other names as well, including Greek, Armenian, Arabic, Cypriot and others. The earliest evidence of coffee drinking comes from 15th-Century Yemen and it soon spread to Cairo and Mecca. In the 1640′s, the Ottoman chronicler İbrahim Peçevi reported the opening of the first coffeehouse in Constantinople. 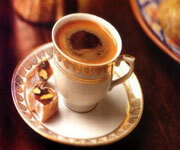 In the Arab world, “Turkish” coffee is the most common kind of coffee and is sometimes called Arabic coffee. Constructions such as “Egyptian coffee,” “Syrian coffee,” “Lebanese coffee,” and “Iraqi coffee” draw a distinction in the flavor, preparation, or presentation of different kinds of Turkish coffee. In Jordan, many drive-through coffee shops call it boiled coffee as opposed to the other kind of coffee that is pre-boiled in a big container and continuously heated which is called poured coffee. Some argue that what is known as Turkish coffee is actually very close to coffee that has been made for ages in Yemen, parts of Oman and South Western Saudi Arabia. In any case, there is a very distinguished Arabic coffee that is very common in Saudi Arabia and it is very different from what is known as Turkish coffee in terms of taste, smell and color. Ankara, apart from coffee wants the remedy “mesir” to be also included in the List of Immaterial Cultural Heritage.Mesir paste tradition is a very old tradition in the history of Manisa, an Anatolian city in the Aegean region, dating back to almost 500 years. Mesir paste was started as a medicine invention during the Ottoman period but later on it became an important part of local festivity in this city. Ayşe Hafsa Sultan, wife of Yavuz Sultan Selim and the mother of Suleiman the Magnificent, after her placement from Crimea to the Ottoman Harem in the 16t-Century, became very ill after the dead of her husband. Unfortunately doctors couldn’t find a cure so Suleiman consulted Merkez Muslihiddin Efendi, the head of the theological school. He was already making medicines using herbs and spices for the sick people and built a small sort of hospital next to the school. When Hafsa Sultan ate this paste, she recovered and wanted to share this miraculous medicine with others. As requests from the people increased, the Sultan told Merkez Efendi to distribute the paste to the people every year in a form of festivity. Browse All UNESCO World Heritage Sites in Turkey. The original Source File!! !